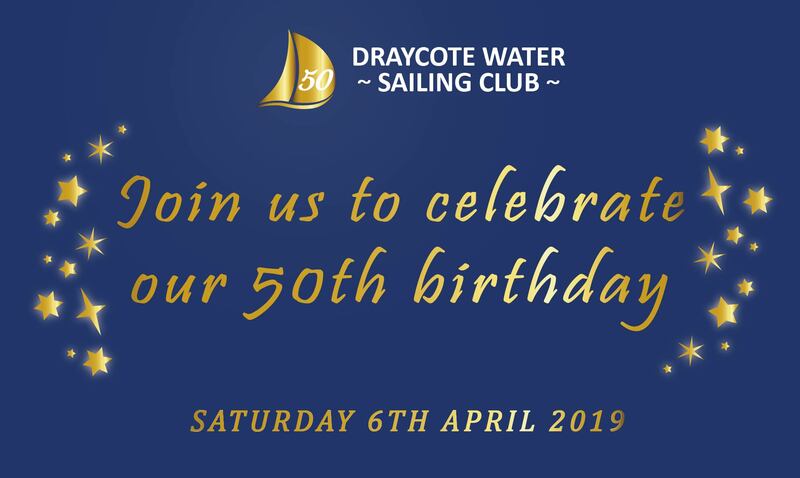 Throughout 2019 we will be celebrating the Club’s 50th birthday with a series of varied events. It will be a great evening to catch up with members past and present, looking back on our Club’s history. We are creating a Memory Wall to be unveiled on the night, which will be full of Club memorabilia, photos and newspaper articles to celebrate the key moments and achievements of our Club members over the years. The event will also include an evening meal and tickets are available from the Club shop and office for £15 each. 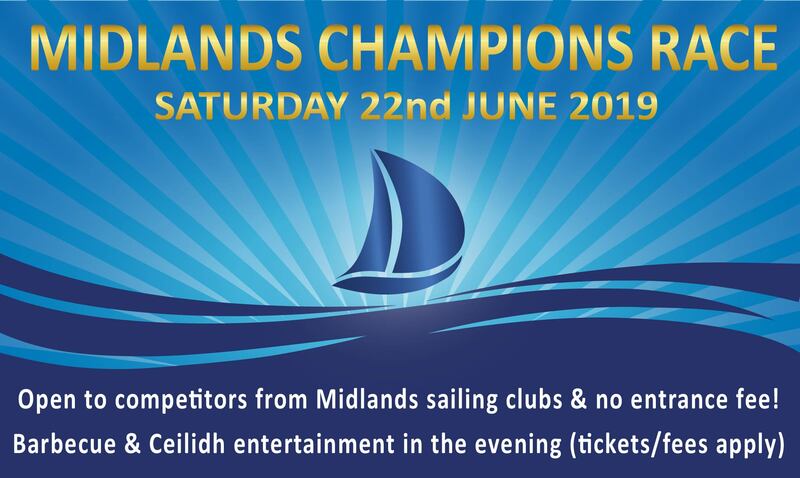 The next key event for sailors will be our Midlands Champions Race on Saturday 22nd June. 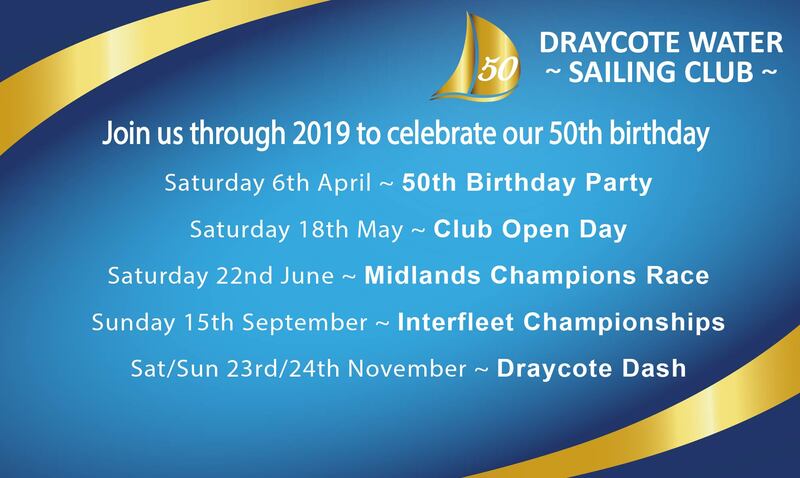 This will be open to sailors from all Midland’s Clubs to find a Champion and race entrance is free! We have booked a Barbecue company and a Ceilidh band to provide a fantastic evening of fun and entertainment. Dates for all of 2019’s events are here and more details will be sent out over the coming months.